Ok - before I get to the spoils from my last card shop trip, let's close out this contest I have. Again - some really great entries. Everyone is a winner in my eyes, and you can be sure I'll send a little bit of something to each person. But only one is voted on by you, the fans. So we ended up with quite the close race to the top. 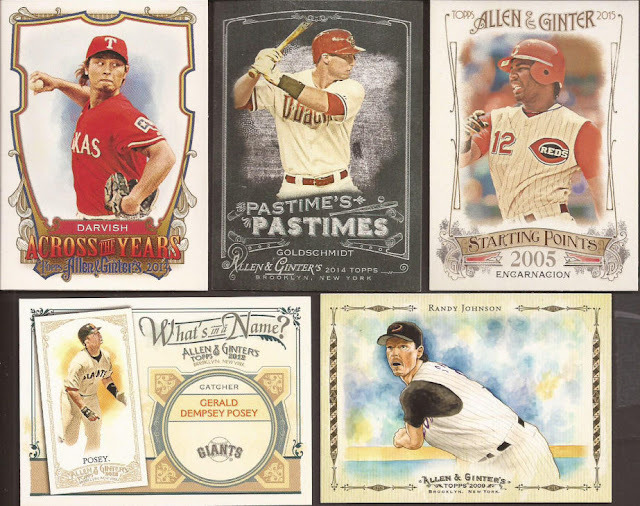 But when all is said and done, AJ at Lost Collector wins the stack of autos and relics. Congrats to all that entered. AJ, I should get your winnings out next week. So if you have been reading the blogs, Dimebox Nick, Tony Burbs and myself all hit the Orland Park card show. Tony had limited time and was not able to find Nick and myself, and I arrived late, but Nick and I did some major damage at some cheap sellers (if you see Nick's two posts I linked), which also seem to be the same place Tony spent his wedding cake budget on. But honey, people LOVE Twinkies. As we are separate collectors, my haul was different than Nick or Tony, but quite amazing as well, in my eyes. Let's show off the cards I added to my boxes from the more current releases. Tomorrow (or so), we'll hit the yummy vintage. One group I won't be scanning is the White Sox series 2 cards I needed. Needless to say, that is complete. 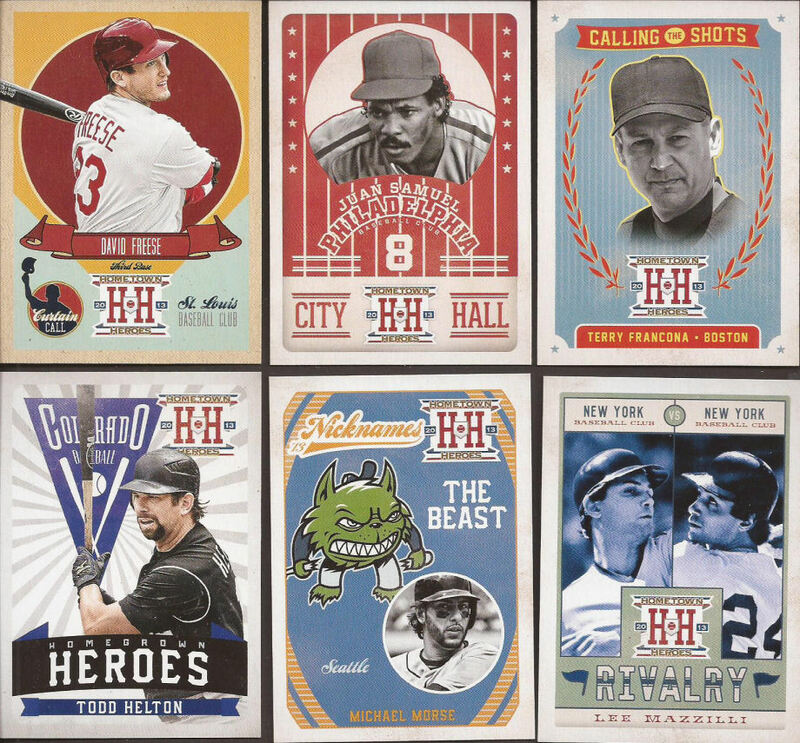 History of the Game is one of those great insert sets I forget about since it's buried in a box with the rest of the 2010 set. I think Night Owl finished it recently. But there were 5 I pulled from a dime box. I don't have a list, so I'm not sure how many of the 5 I need, but I will put this set in its rightful place in some pages and figure out the cards I still need. Panini's fun, quirky, one off release of Hometown Heroes has FAR TOO MANY insert sets. Again, I have no list, but when 16 of these showed up in the same dime box, it's worth the chance of how many I will never. A couple of the City Hall inserts were gold border too. Not sure why you would need to parallel an insert, but Panini. With my "Collect All the Ginter" mentality, one thing you may see missing from my A&G wants in the yearly large insert set that Topps has put in the set since 2010. I really need to get a list of what I need for those, so 29 that I found for a thin dime each - more taking of chances. That sketch card of the Big Unit was one of two sketch cards I found from the 2008 set. The other being Longoria. 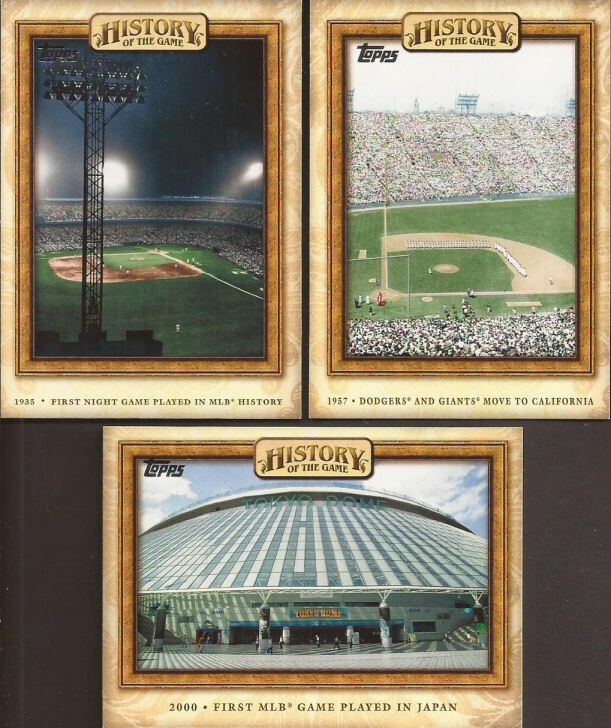 Now here are some insert sets I actually have on my Want lists. I love me some Golden Age. Thank goodness Panini killed it in favor of crap like Optic and their weekly football set. Rare to find any Golden age base at a card show, so inserts are like the baby of Bigfoot and a Yetti. Finding 14 of them at a dime per is a hell of a deal, with many of these going for a couple bucks on COMC. The DeLong Gum were hard pulls. I found 5, so I paid two quarters for them. The five would have cost me $22.17 at the current lowest price on COMC. 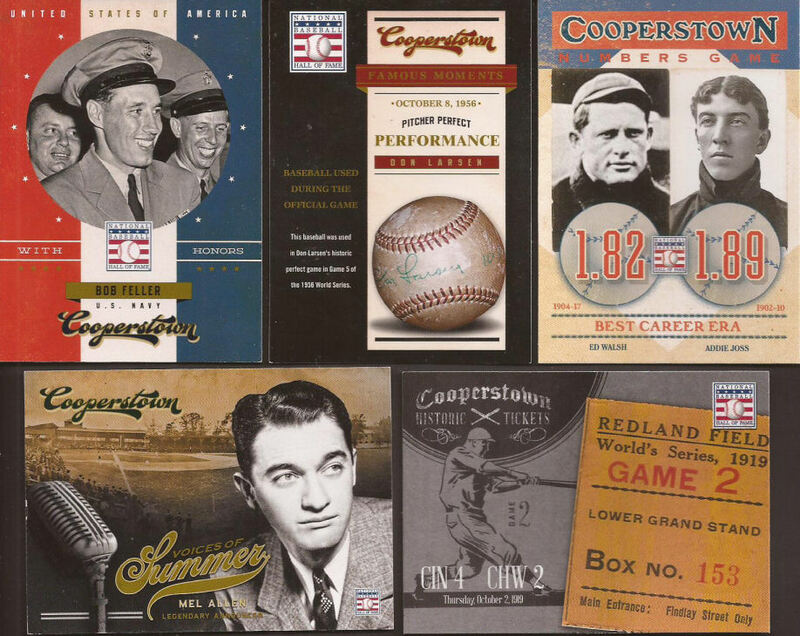 Last we have 18 cards from the 2012 and 2013 release of Cooperstown, another set with a lot of inserts and that I am SOOOOO happy Panini basically killed (high end set in 2014 & 2015 and it looks gone for this year). The worst part about these cards from the dime box was the number I already cleared off my wants. I only ended up with 16. I could have had close to double that. Oh well - gift horse/mouth. So there's the start of the sorting. We'll get to the vintage soon, hitting both baseball and hockey. Nice job at the show. One of my favorite insert sets of all-time was the Voices of Summer. Congrats A.J. - you beat me fair and square, but what a close race, eh? 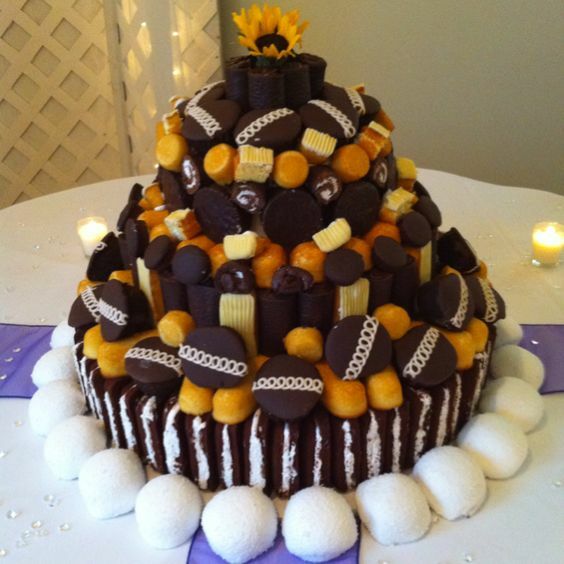 Also, fun fact - we aren't having a cake at our wedding (no, not because of my spending). We'll be having a cookie bar instead, since neither of us are big cake people. Furthermore, looks like you picked some pretty nice stuff out of the plentiful discount boxes! Thanks! It was a close one! And Tony - a cookie bar is an awesome idea! 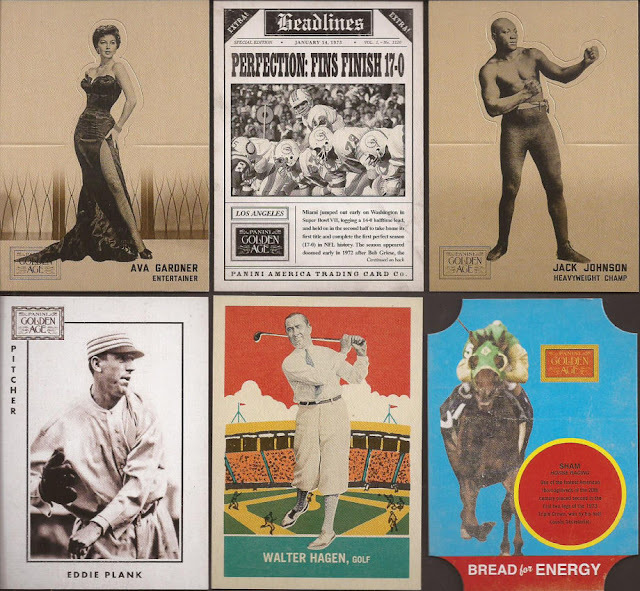 I'm still floored by the number of Golden Age/Cooperstown inserts we found for dimes last Sunday. I stand by my Johnny Cash custom to all you motherfuckers besides the one other guy who voted for me. And Jeff, please delete the pic of my custom from your post now that the contest is over. I can feel the Russian hackers taking out new MasterCards in my name as I type! Congrats on winning the contest AJ. That pic is priceless.